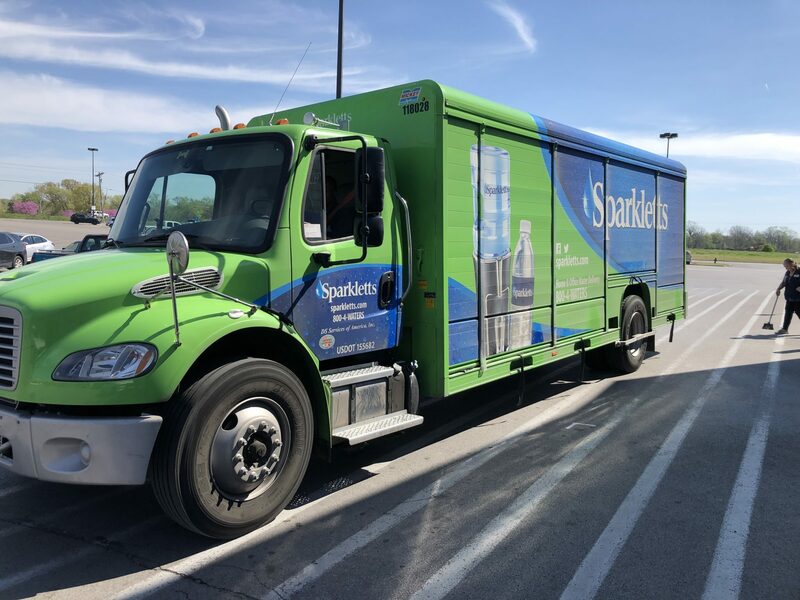 At roughly 10:00 am this morning, Tamanda Billings was arrested at the Sapulpa Walmart for trying to steal a Sparklett’s water truck. According to Sapulpa police at the scene, the driver of the truck was in the back, unloading his shipment when he heard a door slam shut. He went to the front of the vehicle and found the suspect, Tamanda Billings, sitting the front seat, trying to get the emergency break unlocked so that she could drive off in the truck. A call went out to the Sapulpa Police, and within moments, a bystander reported at least three cruisers and an Oklahoma Highway Patrol vehicle arrived at the scene. Billings had locked the door and refused to come out, so Taylor had to use his flashlight break the window of the truck to extract her from the vehicle. Officers say that it appears the only injuries sustained were an officer who cut himself on the broken glass while removing Billings from the truck. As of yet, no other injuries have been reported. Judith, an employee at Sapulpa Walmart for 19 years, sweeps up the glass after an odd incident at Sapulpa Walmart. One employee named Judith was outside sweeping up the glass from the broken window of the crime scene. “I’ve been here 19 years and I’ve never seen anything this like this,” she said. According to the arrest affidavit, it was during the booking process that the Defendant was indeed found to be in possession of two cellphones. It was determined that one of the cell phones belonged to the driver of the truck. A records check shows that Billings had already been given a Trespass warning from Walmart on February 16, 2019. A criminal history check of the Defendant reveals the Defendant was charged with Second Degree Arson in CF-2014-00374, and received a 10 year deferred sentence. In CF-2018-5672 the defendant was charged with Larceny of an Automobile and Assault with a Dangerous Weapon in Tulsa County. That case was dismissed due to no witness cooperation.